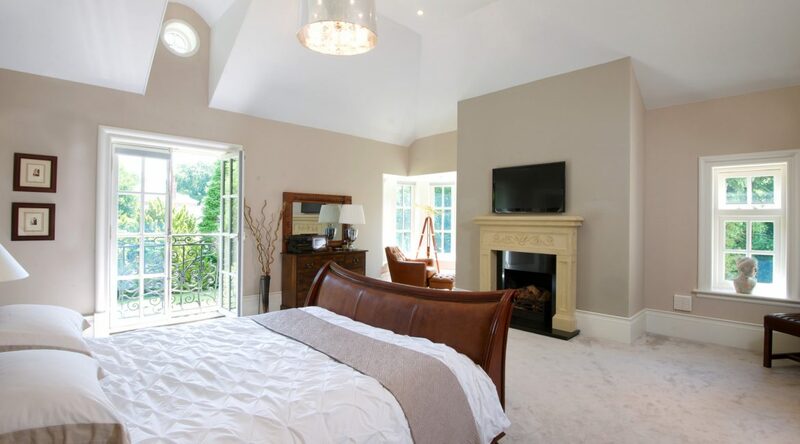 This property was a demolition and new build that had already had planning approval granted when Design by Uber were approached and ask to re-invent the full home in a completely different style. 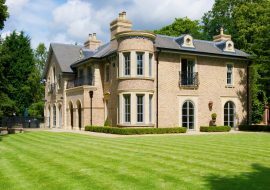 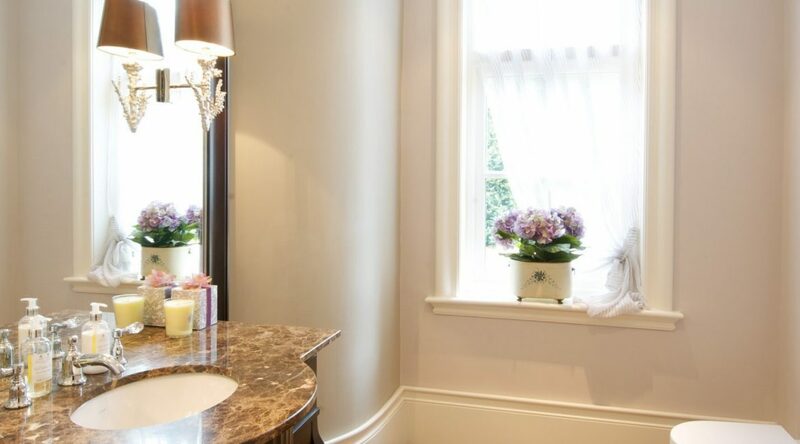 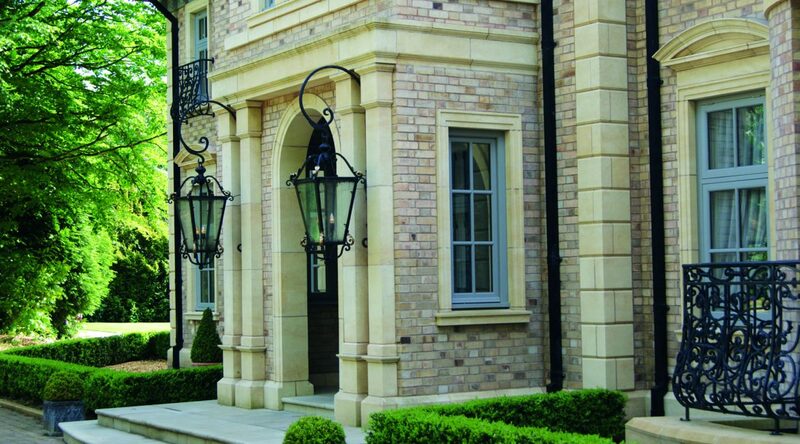 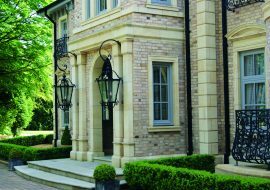 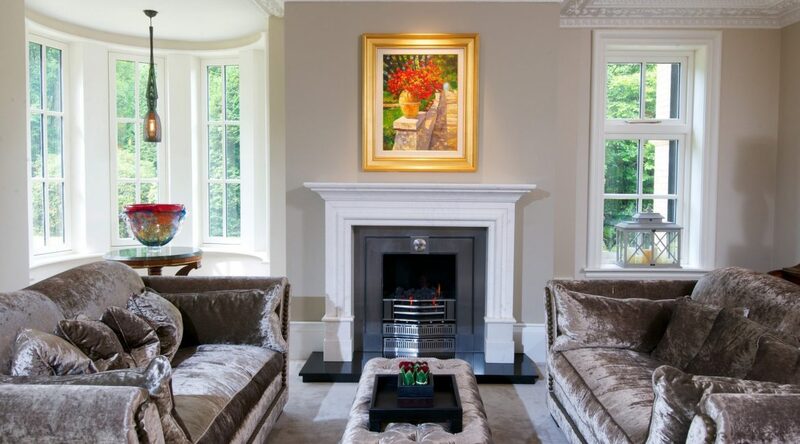 To support the architect and client to space plan, design and fit out a new build property in one of the most desirable locations in Knutsford adding many external Chateau touches mixed with grand English themes. 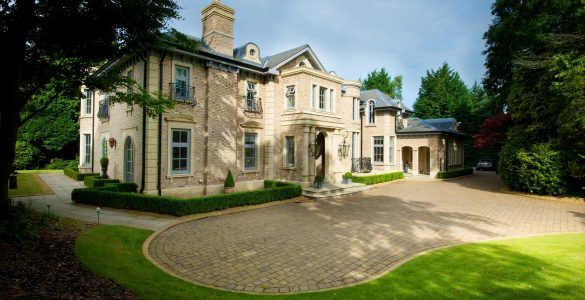 This award-winning new build private property in one of the most desirable roads of Knutsford, Cheshire was designed by Architects Neil Collins along with interior architecture consultancy from Design by UBER from the minute the land was bought. 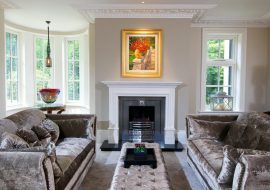 Having such an early influence meant we were quickly able to interpret and maximise the potential of the house layout with creative space planning to match the client’s desires, potentially saving time and money. 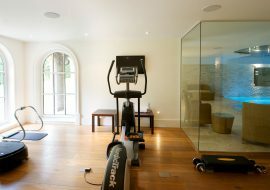 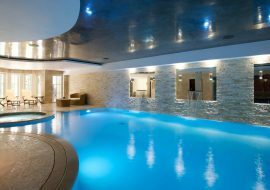 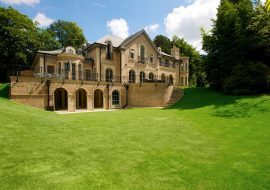 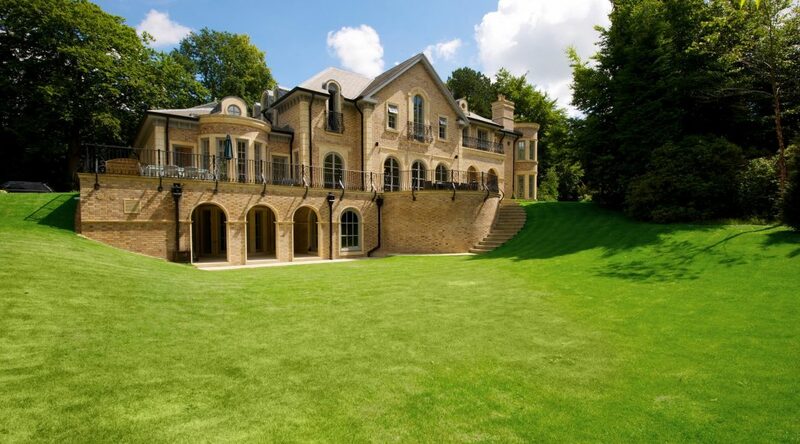 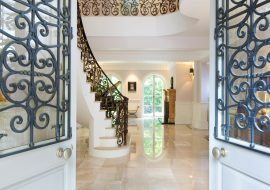 The main 10,000 sq ft house consists of 3 levels including a stunning lower ground leisure suite which is basked in natural light to one side. 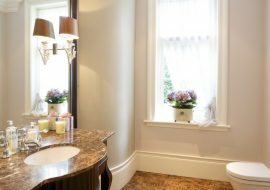 Design by UBER were brought in to facilitate the complete design and specification of fixture and fittings working alongside the builders and service suppliers. 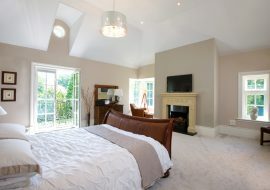 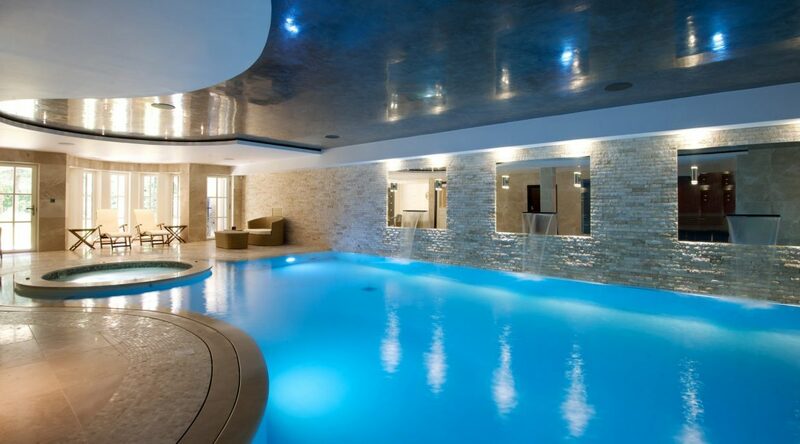 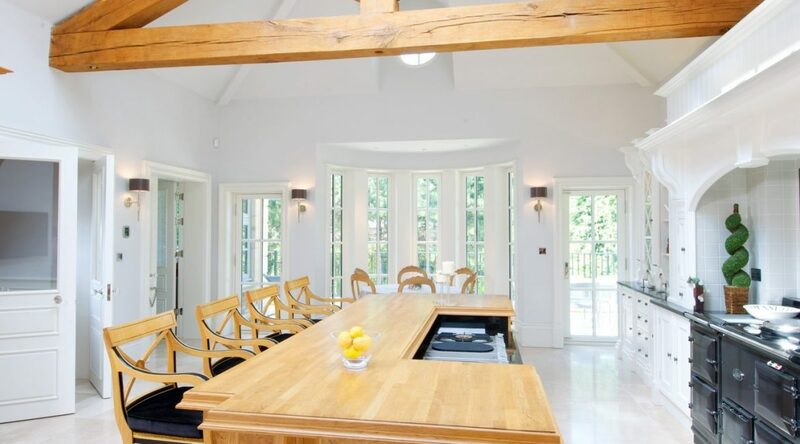 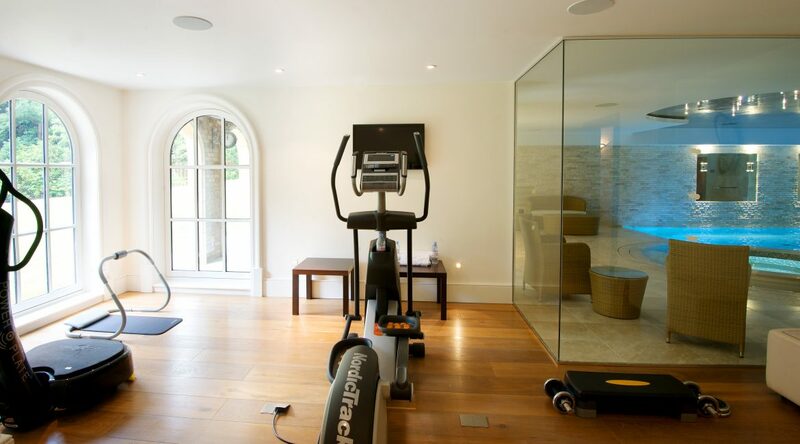 It is complemented by a separate triple garage with a self-contained apartment comprising a total of 2,000sqft.